Today was a celebration of what happens when like-minded people and organizations work together towards a common goal. A recently discovered rare glass sponge reef near Gambier Island in Howe Sound will now be protected by the Province through the expansion of the Halkett Bay Provincial Marine Park by 136 hectares of marine foreshore. Glass sponge reefs are typically found only in very deep waters. The Gambier Island reef is one of only five known glass sponge reefs located in shallow water (30 meters) and it is the only known reef adjacent to sponge garden habitat. The expanded Marine Park will provide a readily accessible, albeit challenging location for scientists and scuba divers to visit and study this unique habitat. Just over two years ago a small working group from Marine Life Sanctuaries Society of BC, Underwater Council of BC and Vancouver Aquarium met over dinner with Mel Turner, a retired Planner from BC Parks. As the traditional marine protection process with the Federal Department of Fisheries & Oceans was stalled, we wanted to approach BC Parks about expanding Halkett Bay Provincial Marine Park so as to include the neighbouring glass sponge reef and garden. 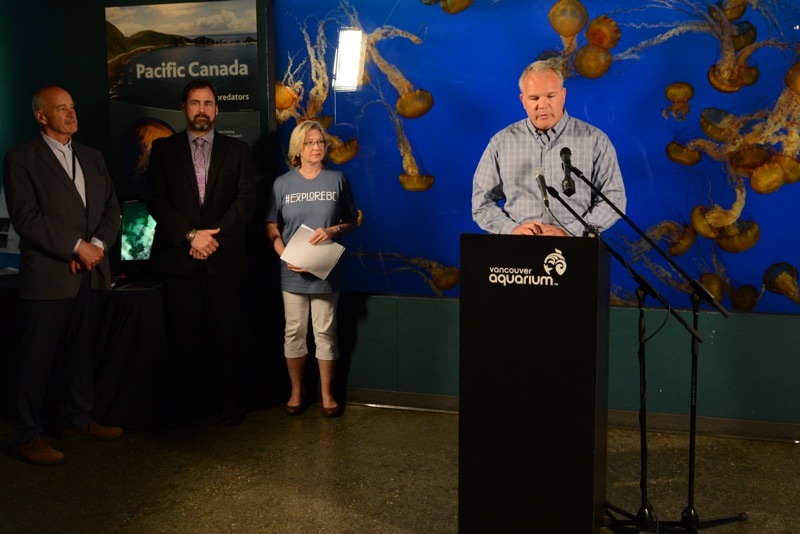 Based on his advice we combined the amazing mapping and research performed on sponge reefs by Glen Dennison and Lena Clayton, with the expertise and taxonomy files of Jeff Marliave and Donna Gibbs of the Vancouver Aquarium, and, underwater images provided by members of the Underwater Council of BC.